Get the one-on-one attention you need to get better at ProWellness Chiropractic and Rehab. Physical therapist Jessica Johnson takes her time with you at each session, making sure you get the healing attention you require to start feeling better. “Our bodies are meant to move. Each of us completes a task by means of a specific movement. These ways of moving become habitual to us. Most of us develop these movements properly, starting with infancy. Various movement patterns are repeated throughout our day such as squatting (getting out of a chair), lunging (picking an object up off the floor), pushing, pulling, lifting, walking, rotating and carrying. Throughout our lives these movements can get altered and become unbalanced, restricted, weak, and/or unstable. This may be caused by injury, stress, posture, job demands, sports, pregnancy, improper shoe wear, surgery, etc. If we do not fix these alterations, they become our so called “normal” movements. The problem is that these altered movement patterns are not the way our body is created to move and therefore pain, which is the signal, develops. Among manual therapy, corrective exercises, mobility training and stability training ProWellness Chiropractic and Rehab also offers ultrasound, electric muscle stimulation, Rock Tape® application, and Spinal Decompression. 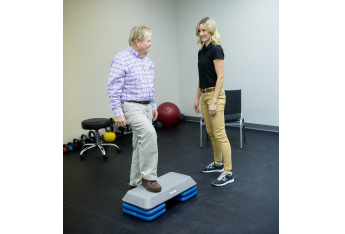 Start moving better today — call (859) 431-4430 to find out what we can do for you!